When someone you love, in particular, your spouse, becomes ill you want to help them get well. But what happens when the illness is dementia? A marital relationship that could have spanned years or decades becomes subject to enormous change, and that change is not a slow linear progression of predictability. It is an up and down interaction of being recognized and accepted by your spouse, or not. All people living with dementia will eventually exhibit combinations of three symptoms: cognitive impairment (memory loss), functional decline (changes in activities of daily living), and neuropsychiatric disease symptoms (fluctuating moods, behaviors, and psychoses). These symptoms can leave the healthy, unimpaired spouse at a loss with regard to communication issues and intimacy. While some spouses can cope with the monumental changes dementia brings to a marriage, many spouses cannot. Feelings of hopelessness, caregiver inadequacy, and embarrassment are often hallmarks of the caretaker spouse. 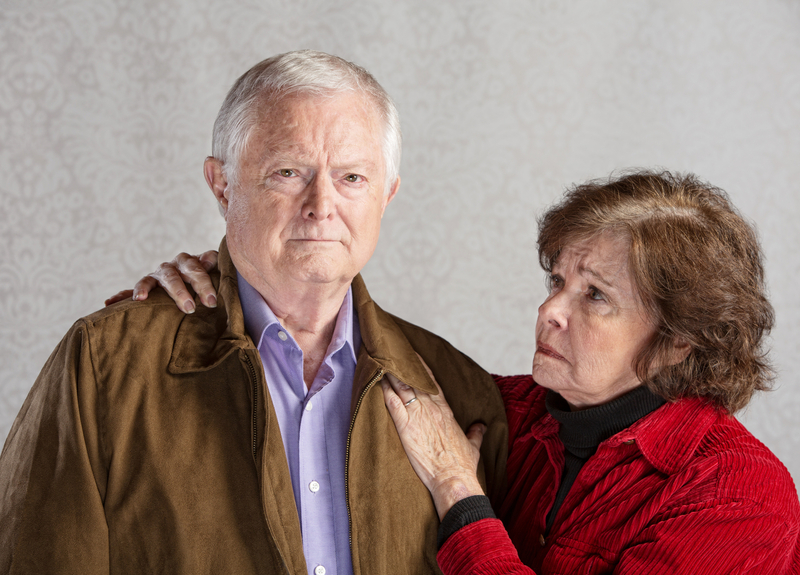 Caring for a spouse with Alzheimer’s or other forms of dementia can be exhausting. It is similar to watching a toddler; the person cannot be reasoned with or left unattended. People with dementia can live for many years, and it is presenting a real challenge to care facilities as well as spouses. What would you do if your spouse of many years has Alzheimer’s, is in a nursing home and strikes up a romantic relationship with another resident? Would it change how you cared for them? Would it give you the freedom to go outside your marriage vows and begin a relationship with someone else? Everyone is different and has different emotional tolerances. Famously, retired Supreme Court Justice Sandra Day O’Connor encountered this very problem. Her longtime husband was diagnosed with Alzheimer’s. While she cared for him as long as possible, even retiring from her Supreme Court position in large part to have time to tend to him, he eventually had to be moved to a care facility. It was in this care facility he began a relationship (often referred to as a “new attachment” in the case of dementia) to a woman only known as “Kay.” Sandra O’Connor had the emotional courage and presence of mind to understand this was not a personal slight by her husband. Instead, she embraced his new relationship willingly saying in part that if it brings him any happiness while suffering this terrible disease she was on board to support his choices. Some states are advocating and providing the legal framework for advanced care planning for individuals in the event a person is diagnosed with dementia. Beyond decisions regarding medical orders for life-sustaining treatment (MOLST) and do not resuscitate orders (DNR), couples are now encouraged to explore their expectations in the event a spouse with a dementia diagnosis enters into a new attachment outside of the marriage. It is also important to address whether the spouse without dementia might form a new attachment. As we age, there is an increased incidence of dementia. Due to advances in medical technology we are living longer with dementia and other diseases. While a person with dementia may be stripped of their memories, they are still a human being who needs warmth, contact, and interaction. It is a basic human need to love and be loved, and that connection can quell some of the psychological problems of isolation and loneliness many dementia patients experience. Having this discussion with your spouse or partner is certainly not easy. No one wants to imagine the possibility that this can happen to them, and yet the possibility is very real. Ideally, these wishes will be documented as part of a long term care plan created with the help of an elder law attorney that also addresses what type of care is desired, and how it will be paid for. We help families navigate these difficult issues to avoid more stress on the family in the future. If we can be of assistance with your planning, please don’t hesitate to reach out.